My name is Jackie Garvin and you can find me over at Syrup and Biscuits. Stacey and I are a kindred spirit. 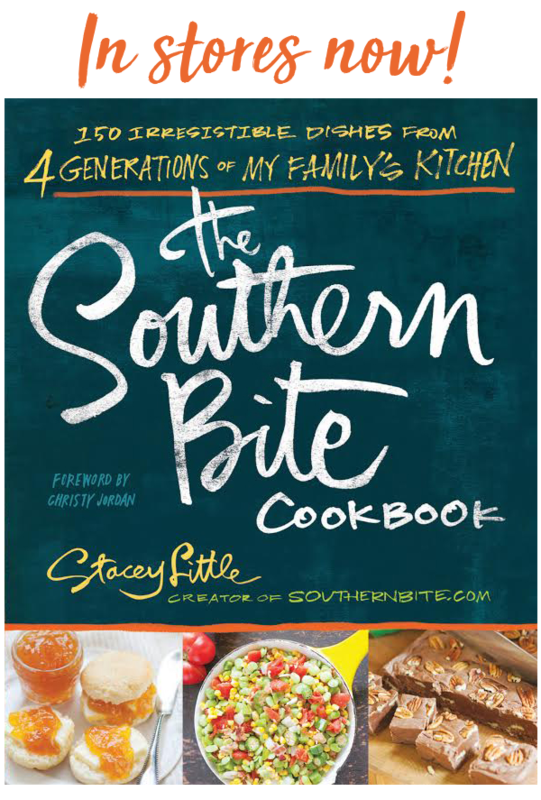 We are Southern to the bone, love our family, love our food and love our “Southerness”. 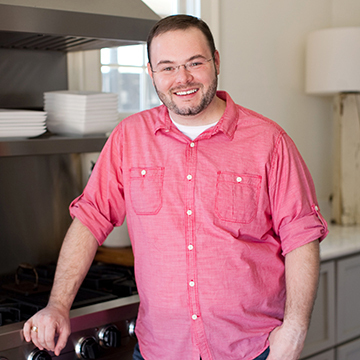 I’m am thrilled beyond measure to be a part of the Southern Bite family and share a little story and a recipe with you. 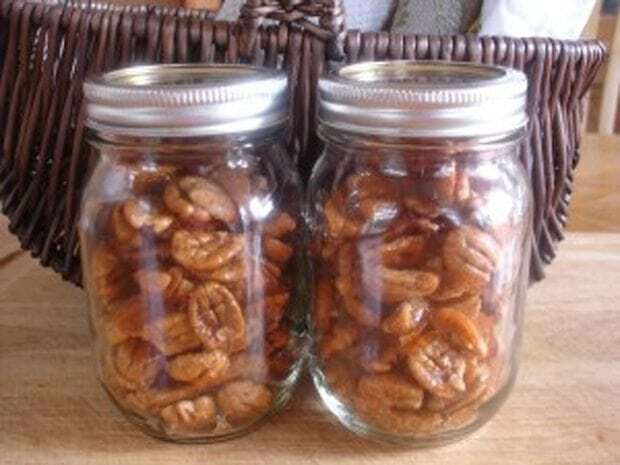 Fall is just around the corner and that means pecan season. I hope all of you from Southern Bite love pecans as much as we do. There’s a raging debate concerning the pronunciation of the word “pecan”. Some of you may say “pee-can”. That’s alright. We love you anyway. Around here, we call them “puh-kahns”. One of the things I most look forward to in the fall are pecans. Picking up pecans and smelling a wood fire burning in the distance is a pleasant childhood memory. At one time, pecan trees grew in abundance throughout the South. Folks in the rural South, many times, had trees in their yards. 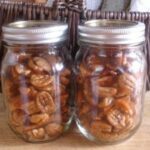 If they didn’t have a pecan tree, they knew someone who did. The trees aren’t quite as plentiful now. Pecan trees don’t grow well where we live in Central Florida so I can’t depend on a local source nor we can we grow them in our yard. Considered an indulgence by some because of the hefty price, I consider them a worthwhile investment. 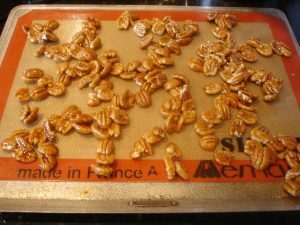 When pecans are ready to be eaten, they fall to the ground. Pecans aren’t picked off the tree, they’re picked up from the ground. Then comes the tedious task of cracking the pecans and picking out the meat. 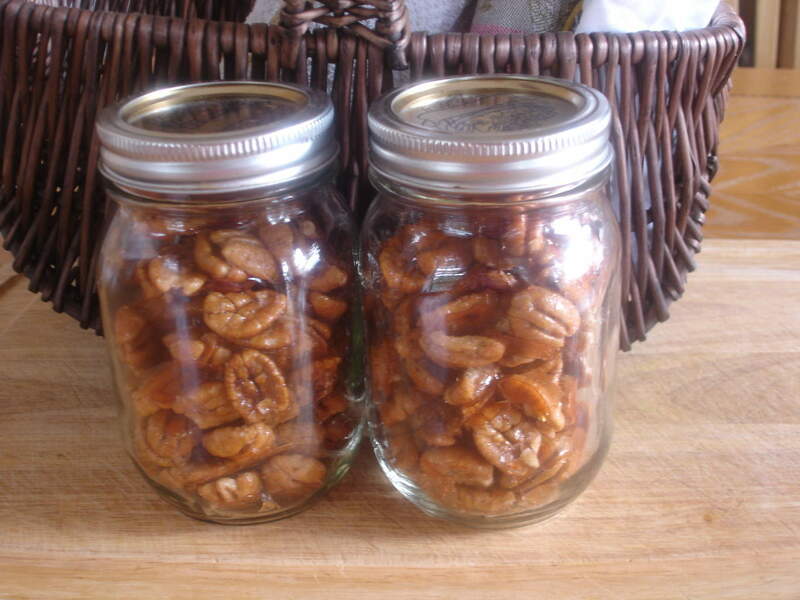 If you’re lucky, you can get papershell pecans which have a much thinner shell making them easier to crack. As far as the association of wood fires with fall, it seemed somebody always had a burn pile going during that time of the year. To this day, I love the smell of a wood fire. Spiced Pecans are a great nibble food and always make their way to my Thanksgiving menu. I’ll set them out after breakfast on Thanksgiving and let people nibble on them until it’s time for Thanksgiving Dinner. When you first eat one, you’ll think they’re spiced with cinnamon. After a few seconds, you’ll get just enough of a slight kick from cayenne to keep them interesting. They won’t send you running out the door screaming for mercy. The spice from cayenne is subtle so don’t be afraid to serve these to any of your guests. If any of my guest run out the door after eating them, I hope they are going out to build a wood fire. That would make me even more thankful on a wonderful Thanksgiving Day. Add all ingredients to a heavy pan except pecan halves. Stir and bring to a boil. Boil for 2 minutes stirring constantly. Sneeze three or four times. I’m not sure if sneezing is necessary but I can’t make these without the cayenne pepper making me sneeze. I wouldn’t take any chances, if I were you. Just gone on and sneeze. Remove from heat and add pecans halves. Stir well until they’re all coated. Pour onto a baking sheet that has been heavily greased or use a Silpat baking mat. Separate the pecan halves as best you can using two forks sprayed with a non-stick spray. Bake at 350 degrees for 12 to 15 minutes or until the pecans start to brown. These sound full of goodness! Yum! These sound wonderful and I’ll try them soon. Great idea for gifts! Love anything with puh-kahns!!! !